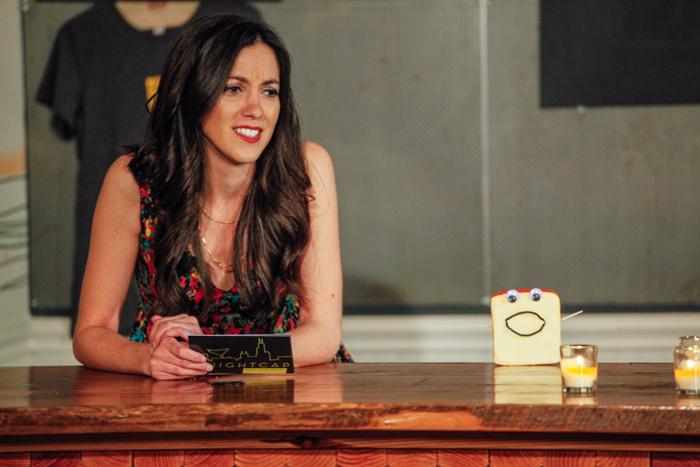 The late night show that gives you the buzz on good food and drink in Chicago. Nightcap is an original series featuring funny, revealing, and informative interviews with Chicago's best chefs, farmers, authors, bartenders, and more. 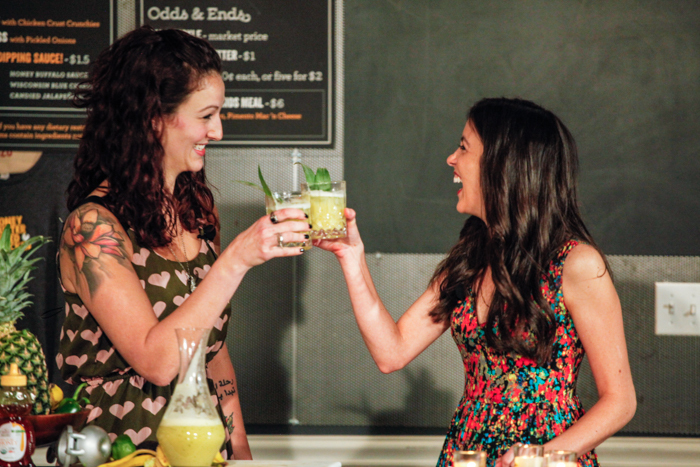 Shot in front of a live audience at one of the city's top sustainable restaurants, Nightcap brings back the fun and authenticity in talking about good food and drink. Local comedians, sketches and strong cocktails keep the evening entertaining. Created, produced, and hosted by Chef Alia Dalal. Directed by ojo creative. Photos by tbphotographic. Stay tuned for our favorite cookie-loving brick of cheese Cookie Muenster! And Joseph Bro-chef auditions to be Alia's sidekick. Stick around for a crash visit from Wrigleyville Ashley and an audience game called the Spice is Right! For more info on the show and to attend a live taping visit our sister site nightcapchicago.com.